Our flagship product, the RecCheck Report (AAI Radius Search Report) was developed as a result of focusing 35+ years of environmental consulting experience on a single aspect: representation of the most complete dataset and ease of use. 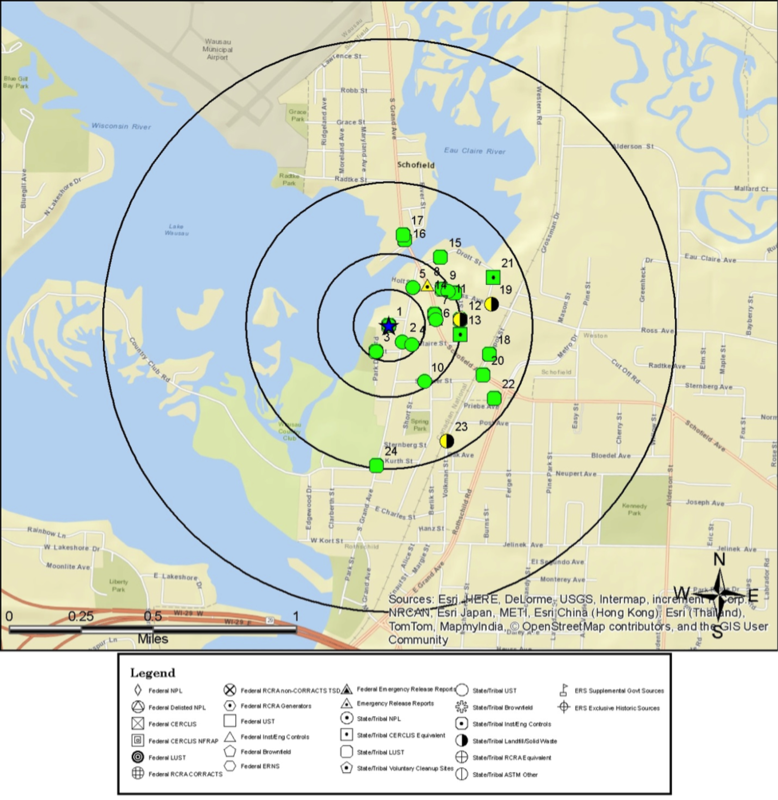 Our 1-mile RecCheck Report (ASTM/AAI Compliant Radius Search Report) is delivered in minutes and reflects 35+ years of Environmental Consulting Experience! We search over 2,000 database records plus supplemental and proprietary databases that only ERS has! An ASTM Standards checklist is included in the report! Bookmarks, Links, and Hyperlinks make it easy to navigate the report, saving you time! Truncated details will help reduce your report length. Millions of Federal, State, and Local records from thousands of agencies nationwide. Millions more records from dozens of proprietary and historical databases including gas stations, dry cleaners and printers. Flood zone, radon and soils information for your site. A color copy of a USGS Topographic Map ready to use in your report. Identification of Fire Insurance Map coverage for your site. Usable Figures including a Site location map that can be inserted directly into your reports. Multiple formats – available in Word or PDF allowing for easy adjustments. Add and an Excel site list, wetlands, critical habitats, etc. and change many report options. Custom RecCheck Reports can be run with an expanded radius, custom agency lists, custom search distances, etc. Just let us know what you need!